This exceptional field camera allows you to get closer to the action in the most extreme conditions. It features an impressive 24.35 effective megapixel AA Filter-less APS-C CMOS sensor, along with a high-performance 27-point AF system and 8.3 frames per second of continuous shooting. camera allows you to get closer to the action in the most extreme conditions. The K-3 II's in-body shake reduction (SR) mechanism effectively compensates for camera shake up to 4.5EV steps regardless of the lens type mounted. The K-3 II features a 24.35 effective megapixel AA Filter-less APS-C sized CMOS sensor for outstanding image quality. Building upon the legacy of the award-winning K-3, the PENTAX K-3 II offers outstanding image quality and operability to meet a photographer’s greatest demands. It features an impressive 24.35 effective megapixel AA Filter-less APS-C CMOS sensor, along with a high-performance 27-point AF system and 8.3 frames per second of continuous shooting. The addition of the newly developed Pixel Shift Resolution System delivers more truthful colour reproduction and finer details while significantly lowering the level of high-sensitivity noise. With the updated PENTAX Real-time Scene Analysis System, supported by the 86K-pixel RGB light-metering sensor, the K-3 II has more responsive subject tracking. Thanks to its new high-precision gyro-sensor, the K-3 II assures more effective camera-shake compensation up to 4.5EV steps. The K-3 II’s newly integrated, built-in GPS and Electronic Compass extends the range of your photo shooting expedition, while the built-in ASTROTRACER function simplifies astrophotography by eliminating the need of an extra accessory to capture celestial objects such as stars, nebulas and planets. With a weather-resistant and dust proof magnesium alloy body, this exceptional field camera allows you to get closer to the action in the most extreme conditions. Designed for the demanding photographer, the K-3 II features a 24.35 effective megapixel AA Filter-less APS-C sized CMOS sensor for outstanding image quality. The Prime III image-processing engine assures high quality image output up to ISO 51200. The built-in GPS module extends the range of your photo shooting expedition. Use the Electronic compass to help find your way while GPS Log lets you keep track of where the trails have taken you. With the addition of ASTROTRACER, eliminate the need of an extra accessory with this functionality built directly into the camera to capture celestial objects such as stars, nebulas and planets. The K-3 II’s in-body shake reduction (SR) mechanism effectively compensates for camera shake up to 4.5EV steps regardless of the lens type mounted. With 92 seals, the K-3 II boasts a fully weather and cold proof design to resist water, fog, snow, sand and dust, for top performance in extreme field conditions. What you see is what you get with the K-3 II. Experience magnification at approximately 0.95x. Never miss the perfect shot with an incredibly fast frame rate of 8.3FPS, for extreme action capture and demanding high performance shooting. The SAFOX 11 autofocus module maximizes 27 AF sensors and a vast light sensitivity range of –3EV to +18EV. This focus module includes 25 cross sensors and three AF sensors designed to detect the light flux of an F2.8 lens, making it easy to obtain pinpoint focus on the subject when using a large-aperture lens. The Expanded AF area allows for accurate focusing, even on moving subjects. When the SR unit detects the panning motion of the camera, it controls the SR mechanism movement to help produce the best image possible under the given conditions. The Pixel Shift Resolution System captures 4 images of the same scene by shifting the image sensor by a single pixel for each image, and then synthesizes them into a single composite image. The result is exceptional detail and true-to-life colour accurate images as this innovative system obtains full RGB information from every pixel. The composite process also effectively reduces image noise in high ISO settings. Diffraction Correction helps to suppress aberrations that degrade the definition of the image, which often occurs when shooting with a larger F-stop. 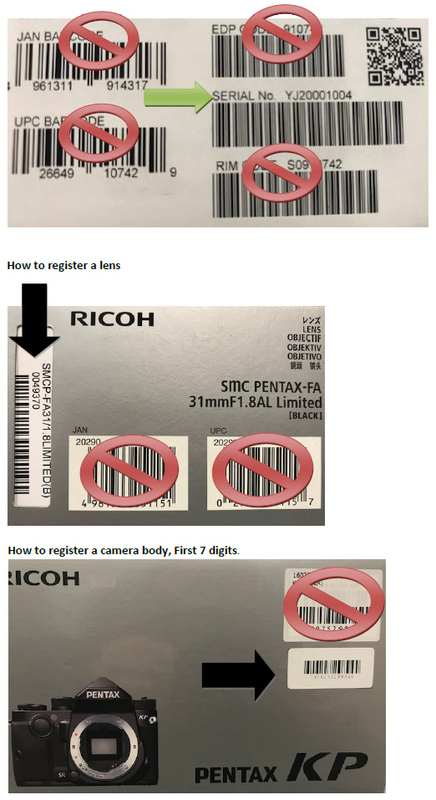 The K-3 II assures the most responsive subject tracking in all PENTAX DSLRs thanks to the combination of a state-of-the-art AF algorithm and the advanced PENTAX Real-Time Scene Analysis System. Enjoy improved AF tracking performance in AF Continuous mode, while providing an extra-wide measurable luminance range (–3EV to +18EV). Enhance your video recording experience with full HD movie capture in the H.264 format (1920x1080 pixels; 60i/30p). Interval movie mode captures a series of 4K-resolution movie clips at a fixed interval. The 3.2-inch high-resolution LCD monitor with approximately 1,037,000 dots (in a 3:2 aspect ratio) features a protective tempered-glass front panel for added durability. The unique air-gapless construction effectively reduces the reflection and dispersion of the light to improve visibility during outdoor shooting. Wirelessly connect with your smartphone using the FLUCARD for PENTAX. Enjoy wireless image browsing, live viewing and operate functions such as shutter release, tough operation for AF point and exposure settings. Storage Media SD, SDHC and SDXC Memory Card (Conforms to USH-1 standards), Eye-Fi card, FLU card. Sound Built-in monaural microphone, external microphone (Stereo recording compatible) Recording Sound Level adjustable.